PII staff are expert at effective implementation of all parts of PSM (and RMP). We have helped develop some of the best management of change (MOC), Incident Investigation, pre-startup safety review (PSSR), operating procedures, mechanical integrity, employee participation, and other programs in the industry. And, we can help you develop and implement key performance indicators (most importantly, leading indicators) so that you can track the progress of PSM at your site/affiliate on a week-by week and month-by-month basis. These efforts will help your plant get the most out of implementing PSM and will help ensure that you have minimal issues at audit time. 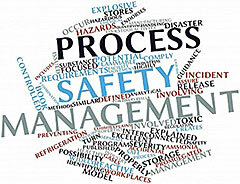 In addition, PII staff will address elements of PSM/RMP that are typically missing from PSM systems including: Facility Siting, Project Risk Management, Senior Leadership & Accountability, and most notably Human Factors. One thing that makes PII unique is the ability to conduct an in-depth evaluation of human factors issues which is missing from 90% of the implemented PSM programs in the world (and missing from the text of the US OSHA PSM regulation). PII understands the significance of this oversight…ALL accidental losses (other than from natural phenomena) begin with a human error. This is because humans govern and accomplish all of the activities necessary to control the risk of accidents. Humans not only cause accidents (unintentionally) by making errors directly related to the process itself, but also by creating deficiencies in the design and implementation of management systems (i.e., we make errors in authorities, accountabilities, procedures, feedback, proof documents, continual improvement provisions, etc). Ultimately these management systems govern the human error rate directly contacting or directly influencing the process. Evaluation and/or development of one or more (or all) PSM/RMP element(s) for new process(es). PII will help incorporate each element into existing site/corporate programs where applicable AND develop written programs for elements as needed. Evaluation and/or development of one or more (or all) PSM/RMP element(s) for an existing process(es). PII will help incorporate each element into existing site/corporate programs where applicable AND develop written programs for elements as needed. [HAZOP] analysis). This strategy has proven effective for hundreds of facilities over the past two decades since it was first published (by PII staff). In addition to identifying accident scenarios during non-routine modes, this approach helps to more fully address human factors, which is a specific requirement of OSHA’s PSM regulations and EPA’s RMP rule.